The original Rome: Total War was one of the most influential and critically acclaimed Grand Strategy games of all time. While there have been many iterations of Total War since then, the series has stumbled and faltered during its quest to reclaim that original magic of Rome: Total War. Creative Assembly’s latest project, Total War: Rome II, promises to be a return to form while still taking what they learned from their previous mistakes. The world of the Roman Empire has always been one of the best settings for the Total War games. Unlike Medieval II, where factions much serve the Pope or risk excommunication, and Napoleon, where the factions are already at war or allied, the ancient world of Total War: Rome II is where factions are just beginning their climb to dominance. The amount of different factions is outrageously massive, however, only 8 are playable, with downloadable factions like the Greek Culture Pack. This particular DLC is one of the most blatant cash grab in the game, to exclude the Greek States, one of most popular factions from the original, and only include it for an additional purchase, gives you the sense that you are not buying a full product. The rest of the groups are non-playable and usually hold one or two territories. While this much variety is appreciated, waiting times between turns can take up to five minutes because of the vast amount of factions. The campaign map of Total War: Rome II shows a Europe divided differently than before. Instead of individual self-contained territories, this new map is split into provinces. Provinces contain multiple territories, so instead of managing each cities tax rate and overall health, you can easily change all of the settings by simply selecting the certain province. Conquering new cities within the provinces increase happiness and unity. Confusing and unhelpful user interface has plagued the series in the past, and unfortunately, this iteration is no exception. While most tasks can be accomplished successfully with little difficulty, when a province begins to decrease in happiness, discovering a solution can be next to impossible. Even your most advanced and profitable province can decide to revolt for no specific reason. This kind of frustration has been frequent in previous titles, it is just unfortunate that this was not wholly fixed. Where Rome II truly shines is in its economic and diplomatic advancement. With new technology trees, you have the choice to upgrade your military or economy. Unlike other Total War games where research had to be done within individual cities, you can now just learn it through the talent tree and your entire empire will gain it. While perhaps not as realistic as previous methods, this is an appreciated and time saving feature. Though diplomacy has been featured in previous games, it was never fully understandable because allies would randomly attack or break treaties. In Rome II, a faction’s trust must be earned, and if you are proven untrustworthy, any hope of a diplomatic victory will be lost. When alliances are garnered, it is the culmination of long relationships. More often than not, I found myself rushing to defend my allies or protect my trade partners because of the time it took to secure them. It is one of the best things to come out of this entire game, and it feels as if war is not the only option any more. When it does come to battles, they do not deviate much from the tried and true formula. There are classic land and siege battles. Naval battles make their first appearance in the ancient world, where triremes do battle instead of galleons. It is Coastal battles that add a new depth to combat. With both naval and land units under your control, the battle is fought on two fronts. This encourages creativity in your approach, and new strategies can be employed to dominate your enemy. Visually, this game is such a mixed bag. Most of the time, it looks absolutely stunning, and also runs beautifully on most PCs. In fact, it runs better than most of the previous Total War games. There are some visual hiccups though. Texture pop-in and out is frequent and jagged edges are not always solved with anti- aliasing. Technical issues can be found throughout the game, from enemies running back and forth, to your units stopping suddenly while charging, it is by no means perfect. 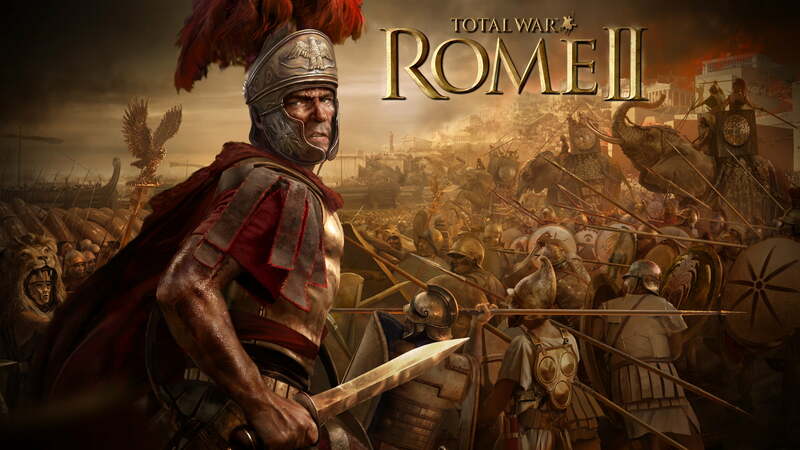 Total War: Rome II is one of the best strategy games period. It is beyond impressive in both scale and quality. While it can be technically flawed and it fails to clean up some of its UI issues, Total War: Rome II is a refinement of previous games and it manages to add a few new things in along the way. It will not be the most memorable Total War, but it is more than a worthy entry into this epic franchise. With an intense interest in the more artistic and narrative elements of gaming, Matthew is a lover of fantasy worlds like Hyboria, Middle Earth, and most of all, Albion. Despite this fondness towards fantasy, he is open to playing any and all genres of games on his Xbox and PC.